I also liked rains as a kid. 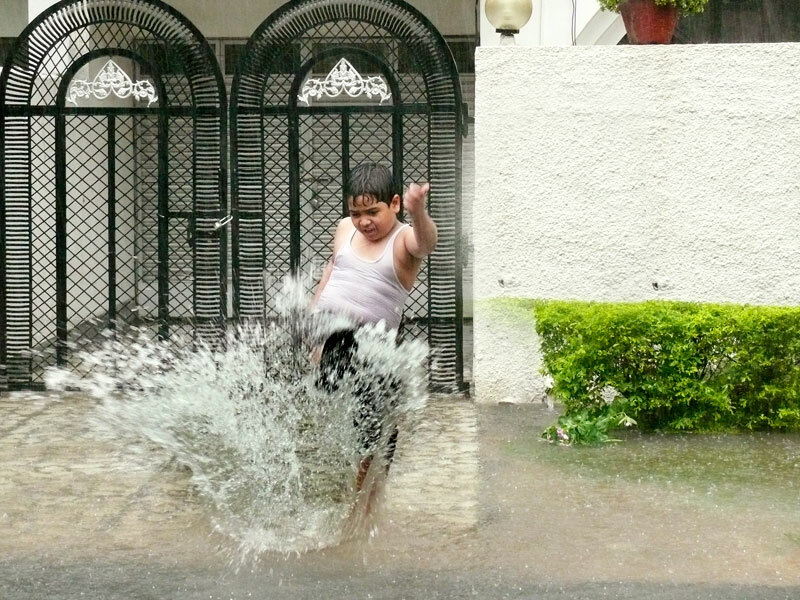 When I was as old as Manuraj, I used to go to my balcony during the rain, lie down on my belly and push my feet against the wall which would send me sliding down to the other end. After the rains, there would be small puddles on the road in front of my house and there used to be small tadpoles in those puddles. Once while watching those tadpoles with my friends, I remember we picked a couple of them and wrapped them in a candy wrapper and offered to another friend. Now we don't see any tadpoles, however we do spot some snails and slugs. As a teenager, I used to go for a walk with a friend. I remember I have walked from Raja Garden, where my college used to be, to my home in the rain more than once. Even now, at least once in the monsoon, I go out.